I love granola, when I make it I eat way too much of it. I guess there are some health benefits in there somewhere. This recipe is inspired by a picture I saw on Pinterest, thanks to dashingdish.com for a great idea. 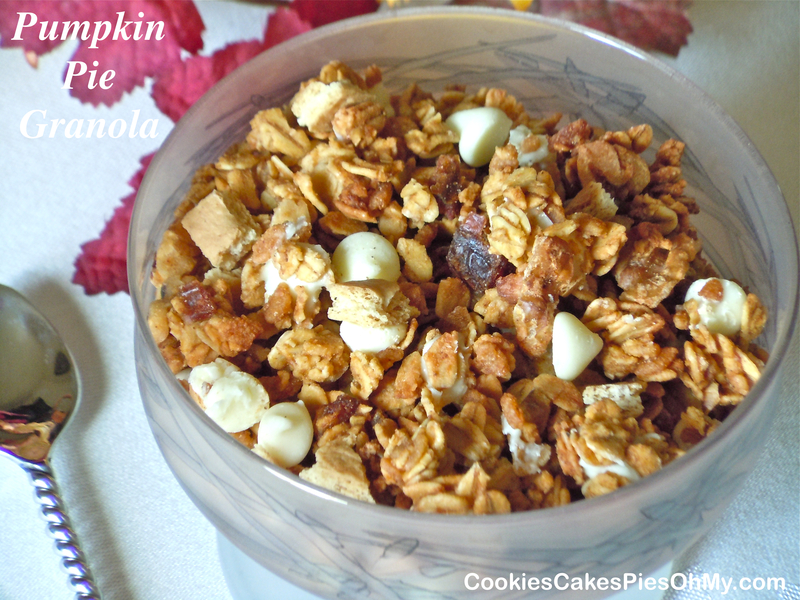 This is my version of Pumpkin Pie Granola. Preheat oven to 325°. In large bowl, mix together oats, crispy rice cereal, dates, walnuts, cinnamon, pumpkin pie spice, and salt. In microwave safe bowl, warm the butter, pumpkin, maple syrup , and brown sugar until melted together. Add vanilla. Pour over dry ingredients and stir gently until thoroughly combined. Spread out evenly on two Silpat lined sheets or sprayed cookie sheets. Bake for 30-40 minutes, gently stirring a couple times and spread out again during baking (keeping track of baking time). Remove and cool completely (granola does set up and stay in clumps as it cools). Stir in vanilla chips and graham cracker pieces. Eat as a snack, in a bowl with milk or on top of ice cream, yogurt, you decide. Store in airtight container. These were are hit at our family reunion this week. 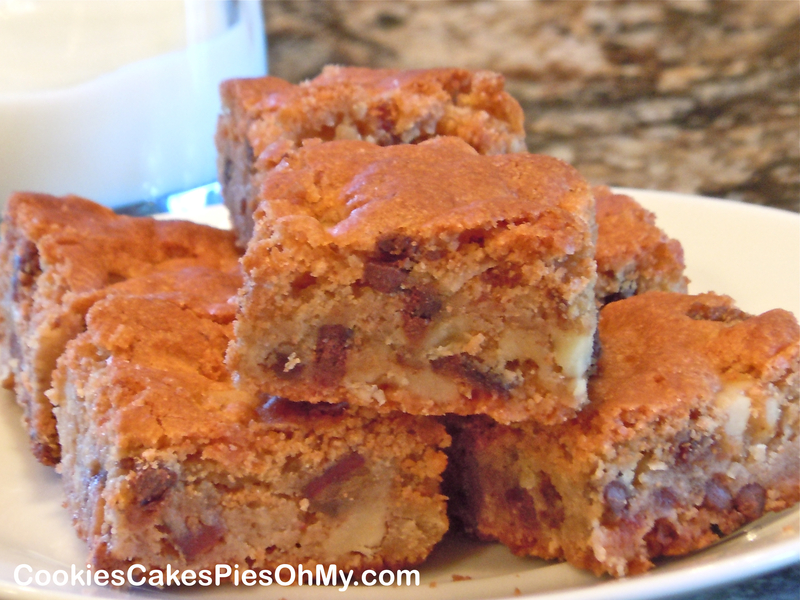 A chewy sweet blonde bar, easy to make, bake, and take! Preheat oven to 350°. In large bowl, combine flour, sugar, brown sugar, baking powder, dry milk, and salt. Add butter and eggs, beat with electric mixer on low speed for 30 seconds. Beat on medium for 2 minutes. 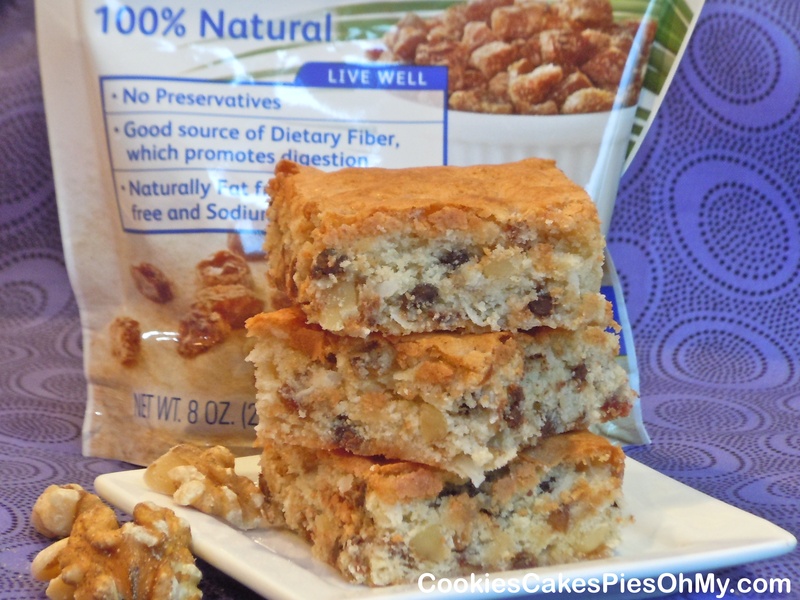 Mix in dates, walnuts, coconut, and chocolate chips. 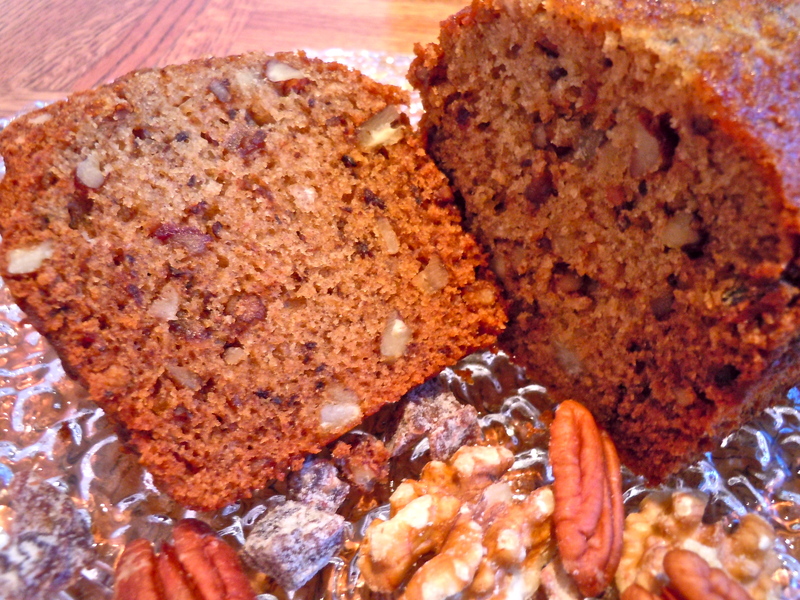 Spread in sprayed 13″x 9″ baking pan. Bake 35-45 minutes or until edges are golden brown, and set in center. Cool completely before cutting. 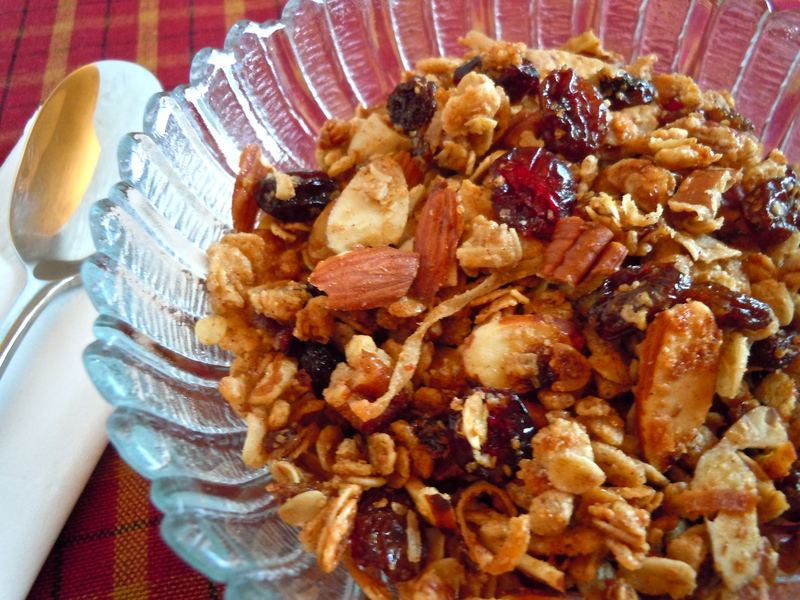 At this time each year I make granola, usually in preparation for our family vacation. This year inspired by a recipe on ohsheglows.com, I am adding dark chocolate, it’s supposed to be good for you, right? I am willing to believe it. 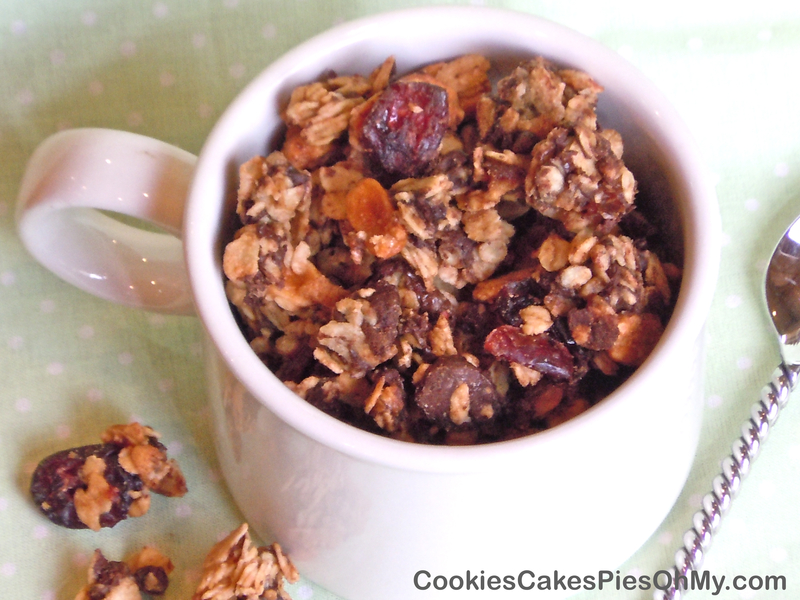 Here is my version of granola with dark chocolate. Preheat oven to 325°. In large bowl, mix together oats, crispy rice cereal, craisins, dates, and peanuts. In microwave safe bowl, warm maple syrup, peanut butter, and butter until melted together. Add vanilla and salt. Pour over dry ingredients and stir gently until thoroughly combined. Stir in dark chocolate chips. Spread out evenly on two Silpat lined sheets or sprayed cookie sheets. Bake for 25-30 minutes, gently stirring a couple times and spread out again during baking (keeping track of baking time). Remove and cool completely (granola does set up and stay in clumps as it cools). Store in airtight container. Eat as a snack, in a bowl with milk or on top of ice cream, yogurt, you decide. We think it’s yummy! A few years ago, we went to Palm Springs, CA for my husband’s work. Palm Springs is the “Date capital of the world”, I learned to love dates. 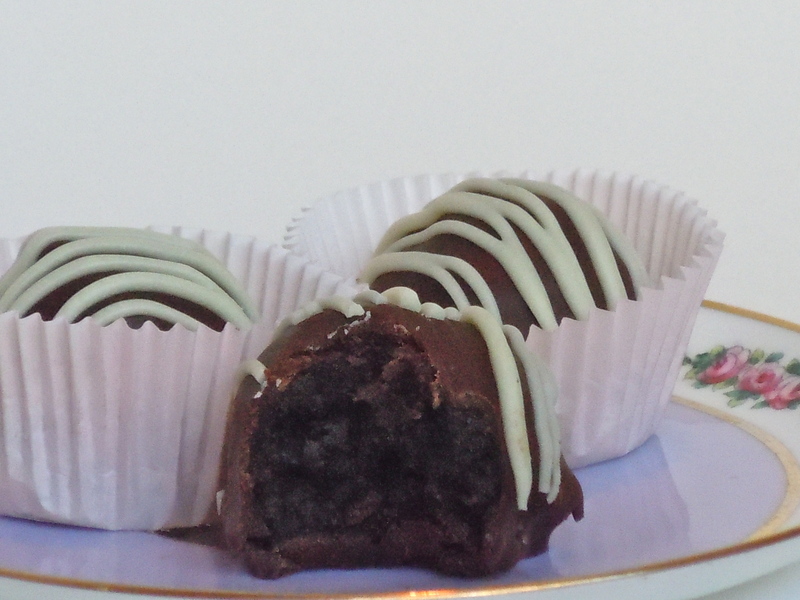 Dates stuffed with walnuts, dates covered in coconut, dates covered in chocolate! They are naturally sweet, fat free, high in potassium, high in fiber, a good source of vitamin A, and contain antioxidants. So, eat dates! Maybe all that goodness is negated when you put them in these bars with sugar and mini chocolate chips, oh well. These bars are a cakey, chewy, good experience. Preheat oven to 350°. In medium bowl, mix melted butter, sour cream, eggs, and vanilla. In large bowl, combine flour, sugar, baking powder, salt, dates, walnuts, coconut, and mini chocolate chips. Add egg mixture to dry ingredients and stir just until combined (batter will be thick). Spread in sprayed 15″ x 10″ x 1″ baking pan. Bake for 20-25 minutes or until golden and set. Cool bars before cutting. I love my brother, I would do anything for him. He recently had surgery and I heard him say something about “those good cookies Aunt Lorraine used to make”. 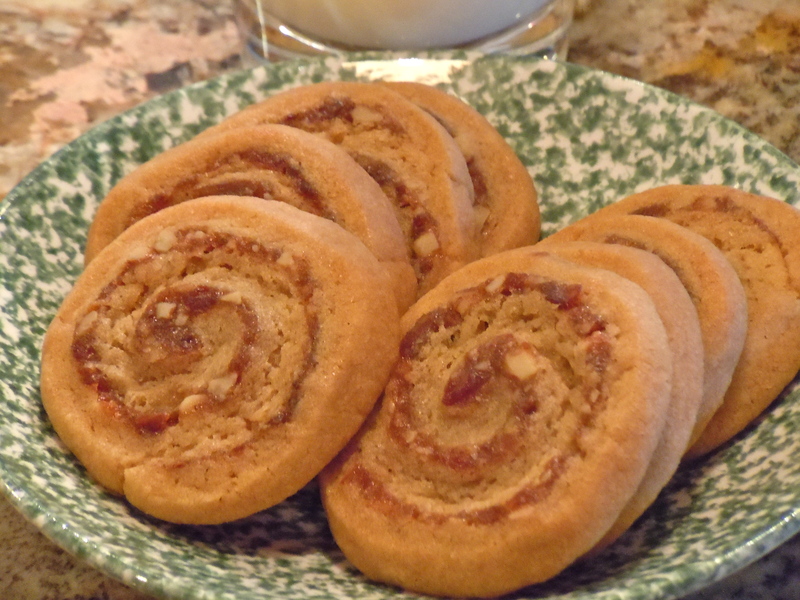 I went right home and got out Aunt Lorraine’s recipe for Date Nut Pinwheels and made them to take to him. I remember as a child every time we got together for a big family dinner, sweet Aunt Lorraine would bring these cookies. Good memories. Cream butter and sugars. Add eggs and vanilla. Mix in flour, soda, and salt. Wrap and chill while making filling. Chop dates very fine or process in food processor. Stir together dates, water, and sugar in saucepan and cook over medium heat for 5 minutes or until thick. Remove from heat and add walnuts and vanilla. Cool. Take dough from refrigerator, divide into thirds. Roll one third on floured surface to a 6×12 rectangle. Gently spread one third of filling evenly over dough. Roll up, starting at one long side, making a log, wrap in wax paper and put in fridge. Repeat with other two pieces of dough. Refrigerate until firm, at least 1 hour. Preheat oven to 350°. Slice about 1/4″ slices and put on greased cookie sheet. Bake 10 minutes or until barely golden brown. Looking for ways to use the candied lemon peel in my pantry, plus my love of dates and quick breads…this is what you get! Pour the boiling water over the chopped dates and lemon peel. Let the dates and lemon soak for about 1/2 hour. Preheat oven to 350°. Cream butter, sugar, and vanilla. Combine flour, baking soda, and salt. Add flour mixture to creamed mixture, mix slightly and add date, lemon mixture. Add the nuts. Mix until the dates and nuts are distributed evenly and the dry ingredients are completely moistened. Pour batter into a sprayed loaf pan or three sprayed small loaf pans. Bake for 50-60 minutes (large loaf) 35-40 minutes (small loaves) or until a pick inserted in the center comes out clean. I think it’s fun to combine different elements from different recipes, tweak and fine-tune and come up with something that feels all your own. It became a tradition at the end of every school year to make homemade granola to take with us on our family vacation. 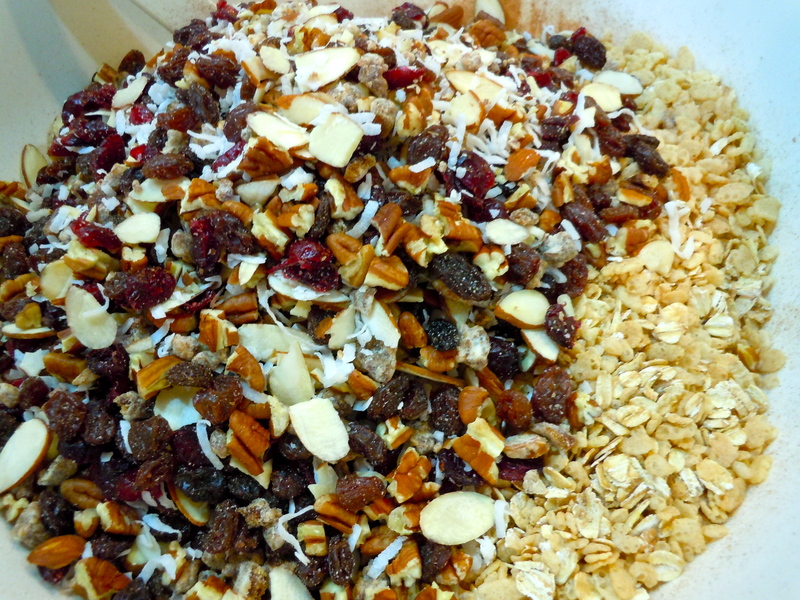 So, whether we have a vacation planned or not, this time of year I feel the need to make my granola. Preheat oven to 350°. In large bowl, mix together rice krispies, oats, wheat germ, almonds, pecans, raisins, coconut, dates, craisins, apple, cinnamon, and nutmeg. In saucepan, melt butter and brown sugar together. Add maple syrup, salt, and vanilla. Pour over dry ingredients and stir gently until thoroughly combined. Spread out evenly on two cookie sheets that have been sprayed with nonstick spray. Bake for 8 minutes, remove and gently stir and spread out again. Bake another 8 minutes, remove, gently stir and spread out again. Bake 8 minutes more. Remove and cool completely. Store in airtight container. Eat as a snack, in a bowl with milk or on top of ice cream, yogurt, you decide. We think it’s yummy! My family likes a portable breakfast. 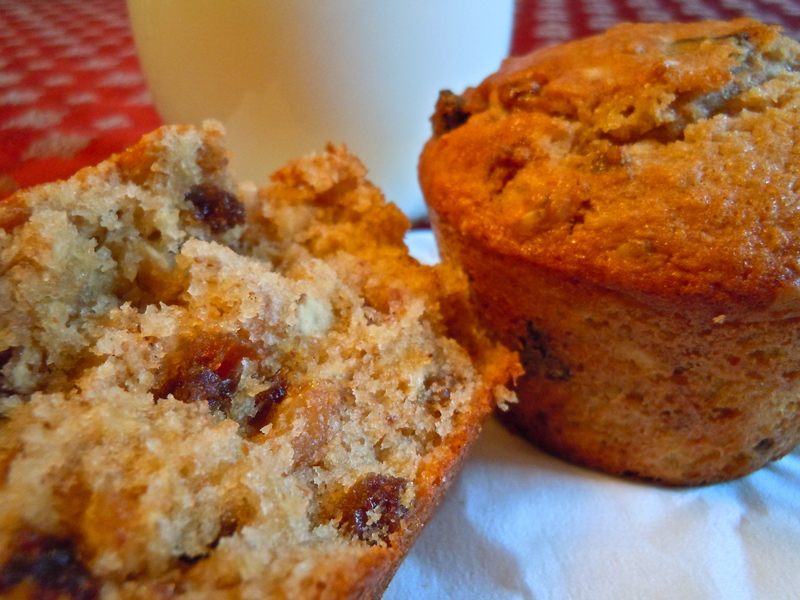 These muffins are great right out of the oven or later, warmed in the microwave for about 10 to 15 seconds. It’s a filling muffin that sticks with you and keeps you going. Preheat oven to 400°. In large bowl, stir together oatmeal, white flour, wheat flour, brown sugar, baking powder, baking soda, and salt. In another bowl, whip together butter, eggs, maple syrup, and buttermilk. Add all at once to dry ingredients and mix by hand just until combined. 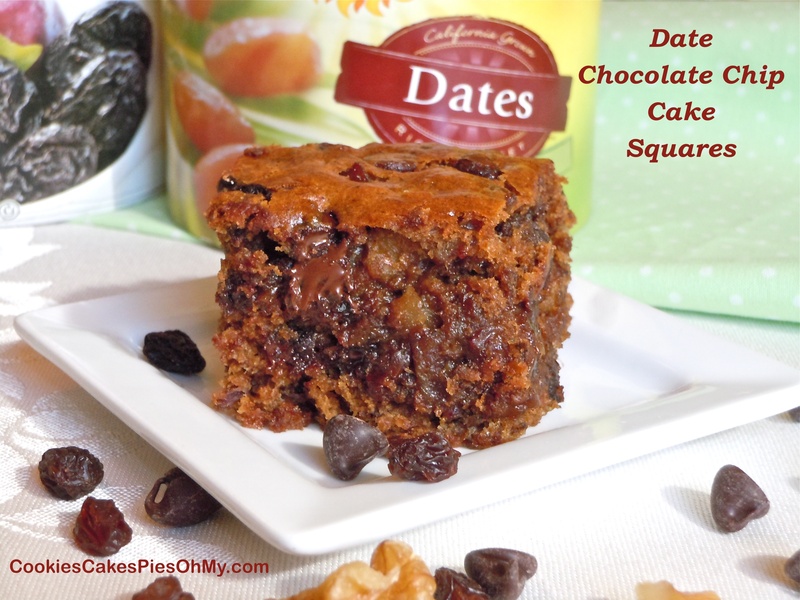 Fold in raisins, dates, and nuts. Makes 12 large muffins, fill to top of muffin cup. Bake for 18-20 minutes.